began playing the mountain dulcimer back in 1964 when he lived in the Boston area and has gone on to become a master instrumentalist with an amazing background in the old time mountain music of his present western North Carolina home. 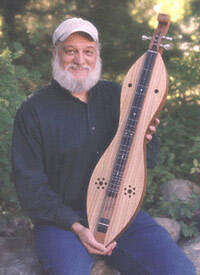 You can read all about this multi-trophy winning dulcimer player on his web site and will understand why we’re honored to have him as one of our Featured Performers for our 2012 festival. You’ll learn that he’s also a visual artist of some stature, as well as an excellent teacher. needs no introduction to many of us, and as always, we’re delighted to have her coming back to our festival. Susan sings eloquently of the things in our lives that really matter: songs of home, hills, farms, and small town America. 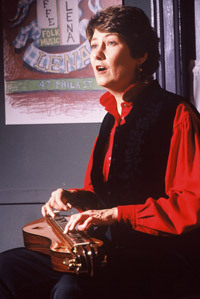 Her skill on mountain dulcimer, guitar, and banjo is amazing (as well as award-winning), her humor is warm and uplifting, and her teaching has touched many of us in ways beyond measure. She lives right here in the Albany area, but the Appalachian mountains are in her heart and in her music.